Right just letting you guys know im going to start planning this years Voyage. Convoy up on saturday morn to kinross where we were last year ad its close driftlands and knockhill depending on events. Last edited by wee mac on Tue Mar 17, 2015 2:09 am, edited 1 time in total. 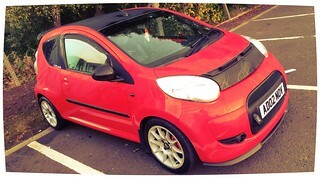 Weather should be better this year then and that's the weekend after scottish car show so my car should still be clean! Yeah thats what the whole stop near leeds is about so you southern guys can join us? How would one be able to attend this show? Drop by the Yorkshire moors to say hi? Southern Central Area Rep! Can I say "black power'?! Wheeler, AKA Quentin Crispian Dominic Tarquin Wheeler the IIIrd.